Here is a lesson for any artist who wants to make a living as a painter. 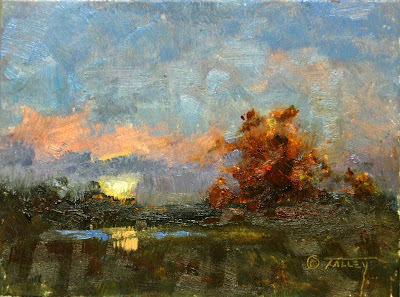 I was contacted recently by an American artist who is Catholic, Steve Talley, who told me that he paints landscapes and his intention is to glorify God through the beauty of his work. When he told me that he sells much of what he paints - his Nocturnes are strong sellers - and shows in two galleries, one in Texas and one in New Mexico, I was particularly interested to know how he had managed this. Although he is already a working artist who sells his work, he contacted me because he wanted to improve as an artist by allowing his faith to inform what he does more deeply. He also wished to reflect on the nature of his personal vocation as an artist in relation to the broad mission of the Church. Naturally, I recommended that he enroll in the Master of Sacred Arts program and suggested that while he considers this he read two books, The Vision for You, which would help him to discern his personal vocation, and The Way of Beauty. I asked Steve about his work. His approach as he described it to me is to look at artists whom he admired and whose style he thinks might have an appeal to people today. 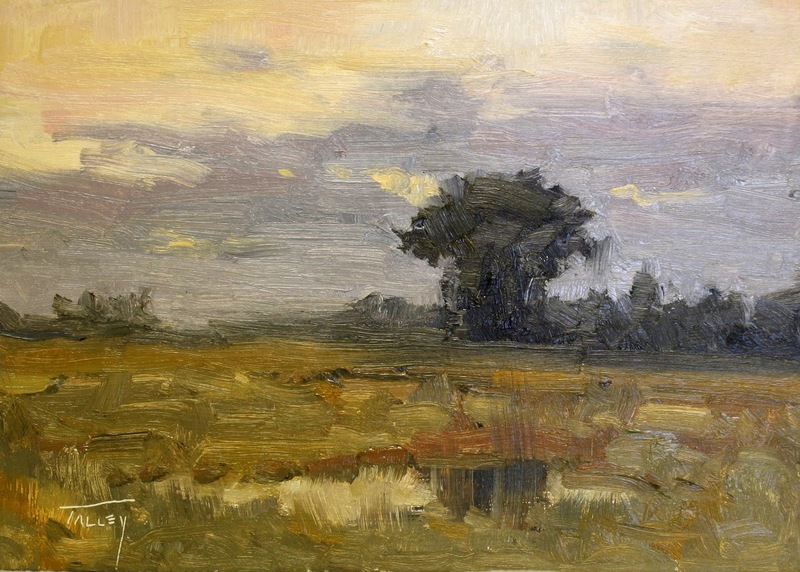 Believing that the paintings of the American landscape would have an appeal, he divides his time between Texas and New Mexico, and so these have become the subjects of his work. The works of specific artists that he mentioned to me were the nocturnes of Will Sparks, and the tonalist works of John Francis Murphy and Chauncey Foster Ryder. All three are American artists who worked in the last part of the 19th century and the first decades of the 20th. He used these as a starting point for the development of his own style. This, to my mind, is exactly what Catholics ought to do, because it reflects a mindset of tradition. You start by working in the style of another and let your own interpretation of it come through naturally. Being commercially minded is important, because it is no small thing to create a work of art that people are prepared to part with money to own. This is not the only criterion of good art, but it is one of them. Not everything that sells is good, but as generally speaking, all that is good will sell. 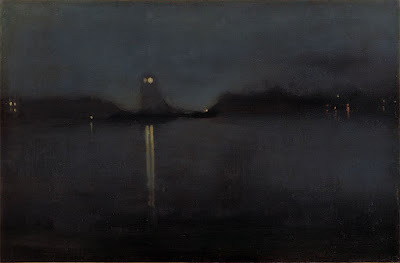 We can think of the Nocturne as an American invention in many ways. The term “nocturne” was coined by the American artist James McNeill Whistler in the 19th century. Although Whistler himself did much of his work in London (sometimes from a boat anchored in the middle of the Thames) it is a form that seems to have taken up by American painters in their portrayal of their own country. Perhaps it’s the wide open night skies of the prairie that inspire them, I don’t know, but it is unmistakably a theme in the American landscaping tradition. Associated with it is a school of painters called Tonalists. 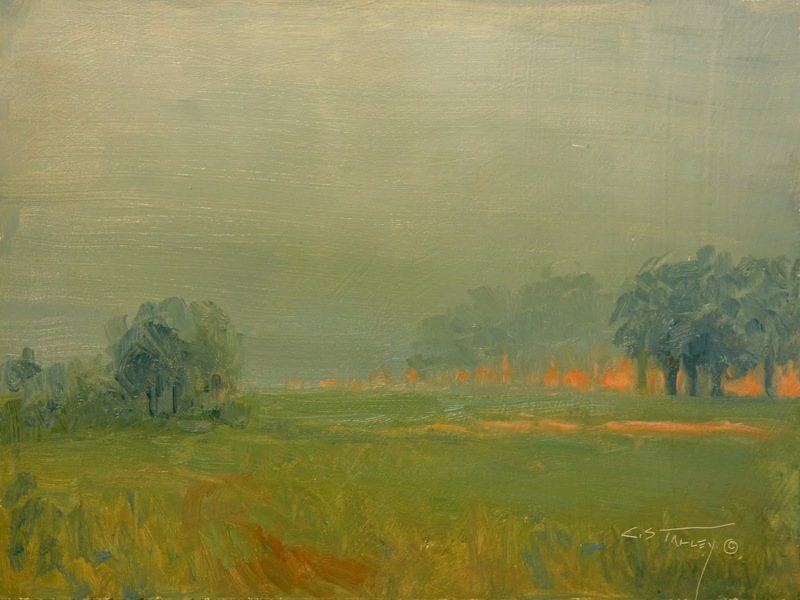 As well as the harmony and beauty of the natural world, both the Tonalists style and the Nocturne painters draw inspiration from ideas of musical harmony - parallels with the musical Tone Poems and Nocturnes of the 19th century were deliberate. While the inspiration for these is the beauty of the created world and the natural order, it seems to me that this is a form that an artist will excel in if he understands that they give glory to God . 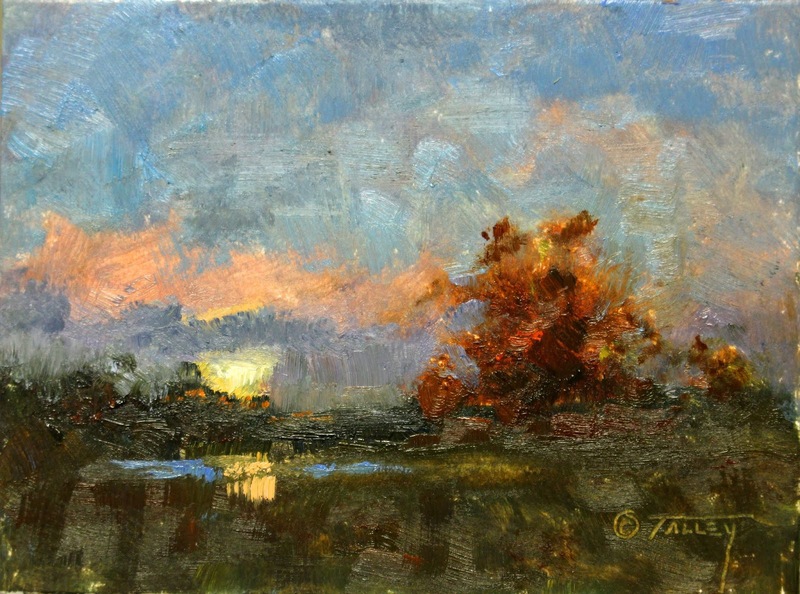 The paintings by Talley that I like most seem to sit in the place where the Nocturne painter and the Tonalist touch. They are set at times when the light is still present, but dimmed, waxing, or waning - late in the day, or early in the morning, or perhaps in heavy mist. Below are paintings, in order, by Talley (the first two) then works by Whistler, John Francis Murphy, and Chauncey Foster Ryder.